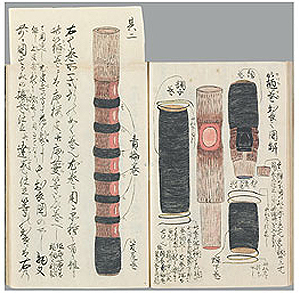 Following the public lecture it offered last year, the Department of Intangible Cultural Heritage offered another public lecture on materials in the Institute’s collection. 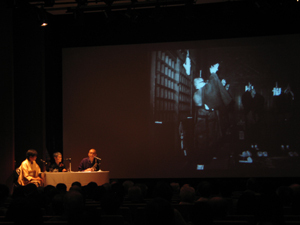 The lecture sought to inform the broader general public of the existence of materials that the Department had assembled for research purposes. 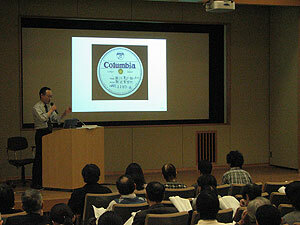 The lecture discussed long-playing records (LPs) from Nitto Records (the Nitto Gramophone Company). 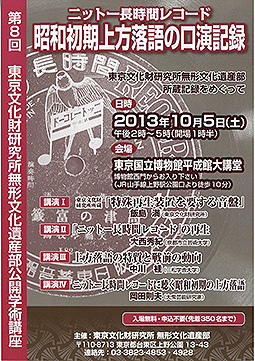 Nitto Records was a record label established in Osaka, and the company sold LPs in the early Showa period (the 1920s). 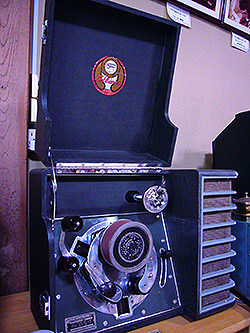 The LPs recorded sound in a different format than that used in typical records, hampering the ability of present-day listeners to listen to the LPs. Nitto Records’ LPs feature KATSURA Harudanji the first [note: multiple generations of rakugo (Japanese comic storytelling) performers often adopt stage names derived from their master’s name, hence “the first”, “the second,” etc. ], TACHIBANAYA Kakitsu the second, and SHOFUKUTEI Shikaku the second (SHOFUKUTEI Shokaku the fifth), who were rakugo performers typical of the pre-war Kamigata style (from Osaka and surrounding areas). Some of the performances by these performers are found only on Nitto Records’ LPs, and the recorded performances are very interesting in terms of their execution. During the 8th public lecture, attendees took whatever time was available to listen to excellent performances of Kamigata rakugo from the early Showa period. 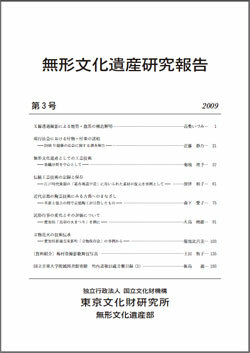 Documentation of Kodan, a form of storytelling, by the Research Institute started in 2002 (at the time, the department responsible was the Department of Performing Arts, National Research Institute for Cultural Properties in Tokyo). 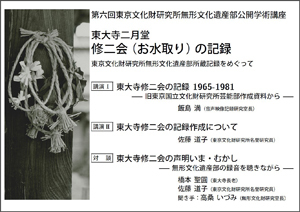 Since that first recording, the Department recorded performances of 2 long Kodan (a Jidai-mono, or period drama, and a Sewa-mono, or a story about the lives of ordinary people) by Mr. ICHIRYUSAI, Teisui, a preserver of the Important Intangible Cultural Property of Kodan. 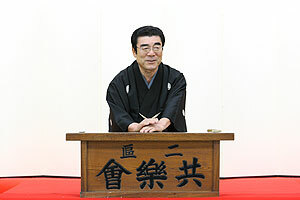 Performances of the Jidai-mono Tenmei-shichisei-dan (recorded 12 times from June 11, 2006 to December 26, 2005) and Sengoku-Sodo (23 times from February 9, 2006 to November 22, 2011) and the Sewa-mono Midorinohayashi-gokanroku (20 times from June 11, 2006 to February 13, 2008) by Mr. Ichiryusai have been completely recorded. Recording of the 3rd Jidai-mono, Nanba-senki, began on February 14, 2012. The story tells of the Osaka Fuyu no Jin and Natsu no Jin (the winter siege and then summer siege of Osaka Castle) when the Toyotomi Clan was destroyed by Tokugawa Ieyasu. The Department plans to continue recording Kodan with the cooperation of Mr. Ichiryusai. 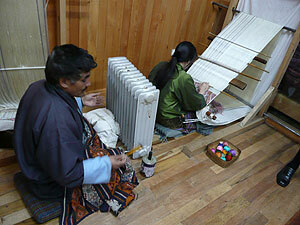 (the Sewa-mono Bunka-shiranami is now being recorded). 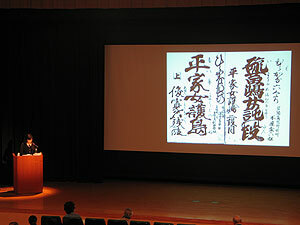 The Department of Intangible Cultural Heritage held an annual public lecture at the Heiseikan of the Tokyo National Museum on October 22nd. 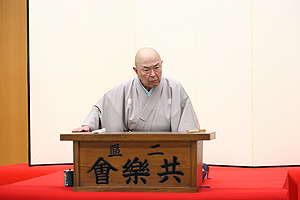 The lecture dealt with recordings of the Shuni-e Ritual (Omizu-tori), held annually at Todaiji Temple, among materials in the Department’s collection. 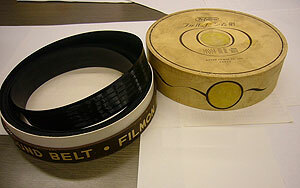 On-site recordings have continued to be made since 1967, resulting in an extensive collection including more than 400 10-inch open-reel tapes. 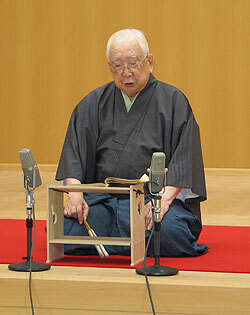 Some of the recordings were played for the audience in between talks by the invited speakers, Mr. HASHIMOTO Shoen, Cyo-ro (the head monk) of Todaiji Temple, who confined himself to the temple for prayer from the 1960s to the 1990s, and Ms. SATO Michiko, an emeritus researcher at the Institute who played a leading role in the recording work. 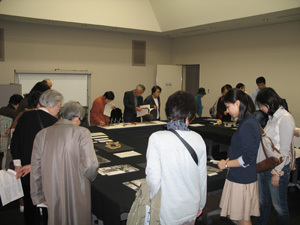 An exhibition displaying rare materials related to Shuni-e was also featured at the Heiseikan. 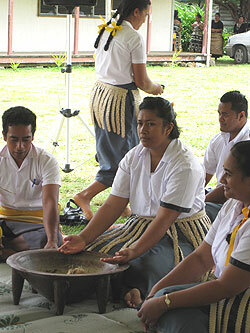 The lecture and the exhibition were well-received by 200 or more participants. An overview of the lecture, including interesting stories told by Mr. Hashimoto and Ms. Sato in their talks, will be presented in the next Research and Reports on Intangible Cultural Heritage, Vol. 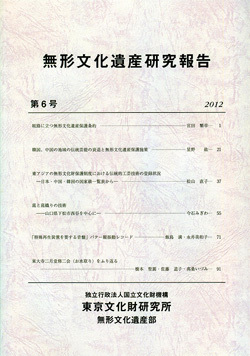 6, to be published in March 2012. Mr. Hyoki of the Department of Intangible Cultural Heritage visited the Division of Folklore and Folklife of the National Research Institute of Cultural Heritage, Korea from June 28 to July 8. His visit was in the framework of exchange between Japan and Korea on research related to conserving intangible cultural heritage. 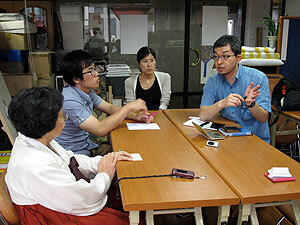 He received training on how to protect intangible cultural heritage in South Korea. In the past two years, training sessions and surveying had been conducted on the status of archiving the records on intangible cultural heritage in Korea. This year, we investigated the way the Cultural Heritage Administration of Korea is performing intensive data management on the recordings produced by the relevant organizations. 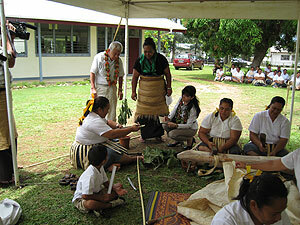 We also examined the guidelines on creating standard data of cultural property recording projects. We carried out our investigations by listening to the people involved. We also conducted a survey on the current status and issues of the inheriting instructor system that is a feature of the system for protecting intangible cultural properties in Korea. We listened to the Cultural Heritage Administration of Korea and the holder of intangible cultural property (conservation society of Pilbong peasant music). The recorded tapes collected by the Department of Intangible Cultural Heritage are currently being digitized one after another. Digital conversion is not only a simple transfer of media to compact disc. Indices that match the recording contents must be attached after checking the recording (including collation with the authentication note for tape), otherwise, it will be inconvenient for future data utilization. 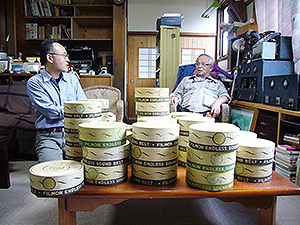 The TAKEUCHI Michitaka old audio data (referred to as “Takeuchi collection” hereafter), which acceptance procedure was completed in 2005, included many reel-to-reel tapes of kokyoku (katobushi, ittyubushi, miyazonobushi, ogiebushi). 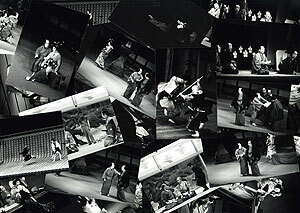 The performances are from the Showa 30’s, and most of them do not seem to have been recorded to be sold in market. 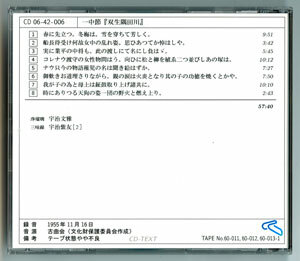 The photo shows a CD created from a tape of ittyubushi “Futagosumidagawa” performed by UJI Bunga (1881－1975) and nisei UJI Shiyu (rokusei UJI Wabun: 1907－1986). 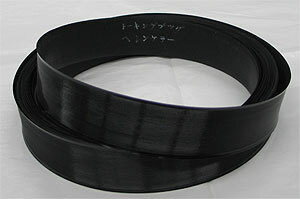 It is a long kokyoku with a long performance time of approximately an hour. We hope to create an environment in which all citizens have a chance to listen to antique recordings that people rarely had an opportunity to listen to.